Last weekend, Steeplechase celebrated their 72nd year and I was a little bummed to be missing out on one of my favorite events in Nashville. I love the races, my friends, and the fashion but the best part is always the hats/fascinators! All of my friends were posting brightly colored dresses with incredible hats that took my breath away. 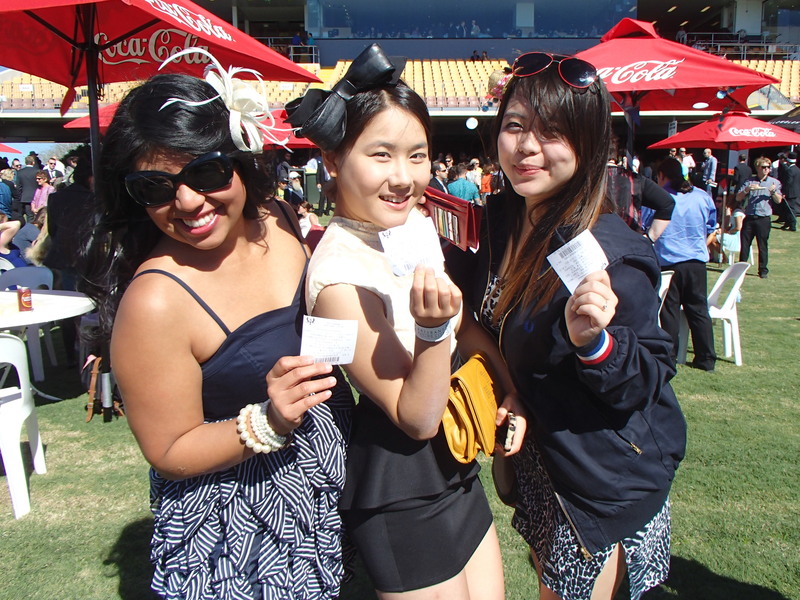 I didn’t have too long to be sad because today, I experienced horse races for the first time at the Brisbane Racing Carnival with my fellow Brisbane International Student Ambassadors (BISAs)! 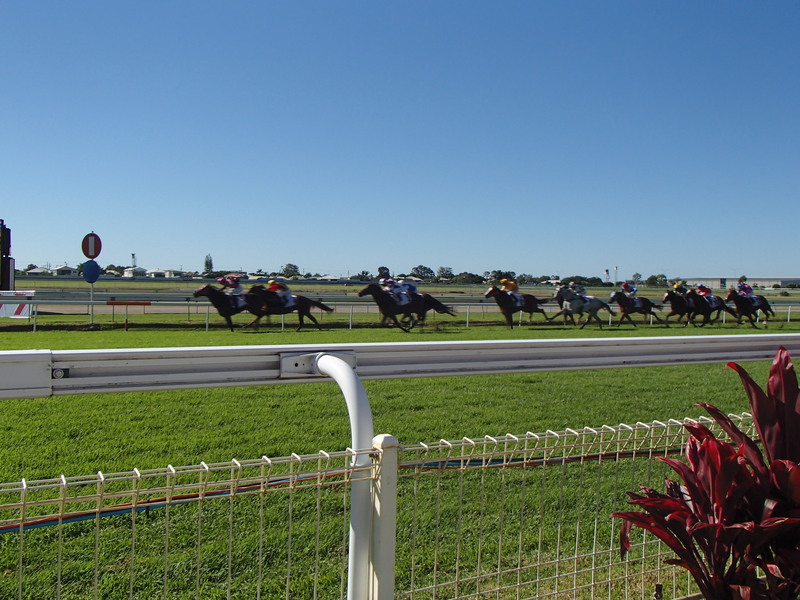 We attended the Kirks Doomben Cup Day and the weather could not have been better. Here in Brisbane, the horse races run from May until June with races held every Saturday in Doomben or Eagle Junction which is very different from Steeplechase which is held only for one day. Kirks Doomben Cup Day is one of the biggest day’s of the Brisbane Racing Carnival because they have six of the eight races run at Group level which attracts the nation’s top turf stars which means you can bet on six different races. The day’s highlight is the Group 1 Kirks Doomben Cup run over a distance of 2000 metres. Loved being so close to them! A few BISAs and I tried our luck by betting on a few horses. Some decided by their names, others by number, or favorite. Each person has factors they consider before placing their bet. The ladies selling the tickets were so kind to explain how it works. I decided to bet half WIN and half PLACE. Fortunately for me, both times I bet, my horses won! Thank you Miss Longstocking and Solzhenitsyn. Before any of the races started for the day, I found a man sitting at a table who kindly explained how the system worked and how races were going on not only in Brisbane but also Sydney, Melbourne, and Adelaide. Anyone could place bets on those races as well. 1, 4, or 14!?!? 🙂 Which one will win? 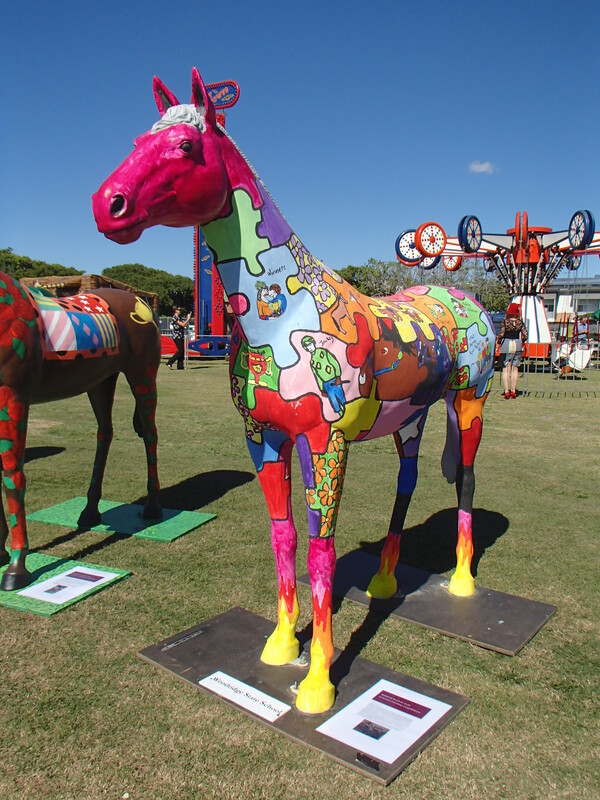 In addition to the beautiful horses and fun betting, they had tables with umbrellas to sit, eat, and relax between races, a family area with kid rides, fairy floss (cotton candy), and a gorgeous display of painted horses. It was lovely seeing everyone dressed up and all the gals with their fancy toppers. I definitely recommend attending this event because you’ll experience Australian culture and be surrounded by Australians. Who doesn’t love to people watch occasionally? The races were such a blast and I was so happy to experience it with you and all the BISAs. Thank you so much for stopping by my blog Kelly! 🙂 Good luck to you as well. See you on the 31st!